Zuckerberg will spend two days answering lawmakers' questions about the powerful social network he helped create more than a decade ago, and whether the company is doing enough to protect users' privacy. It's the first time Zuckerberg will personally sit for questions from Congress, instead of sending a deputy. His testimony marks a pivotal moment for Facebook (FB) and the tech industry. Here's what you need to know. He'll appear at a joint hearing conducted by the Senate Judiciary and Commerce committees on Tuesday, starting at 2:15 p.m. ET. The Facebook CEO will then testify in front of the House Energy and Commerce Committee on Wednesday, beginning at 10 a.m. ET. The hearings were scheduled to address Facebook's use and protection of user data in the wake of the Cambridge Analytica scandal. What's Zuckerberg going to say? Zuckerberg will take the blame for Facebook's recent problems, according to prepared remarks released Monday by the House Committee on Energy and Commerce. He's expected to concede that Facebook "didn't do enough" to prevent a host of problems on its platform, such as fake news, foreign interference in elections, hate speech and data privacy. 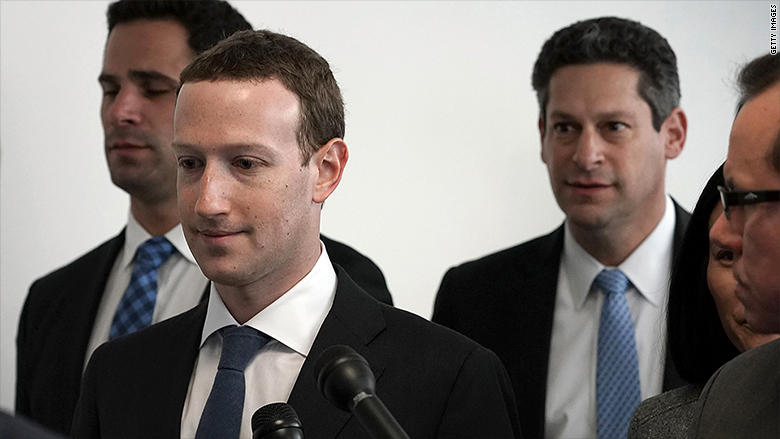 "We didn't take a broad enough view of our responsibility, and that was a big mistake," Zuckerberg will say. "It was my mistake, and I'm sorry. I started Facebook, I run it, and I'm responsible for what happens here." 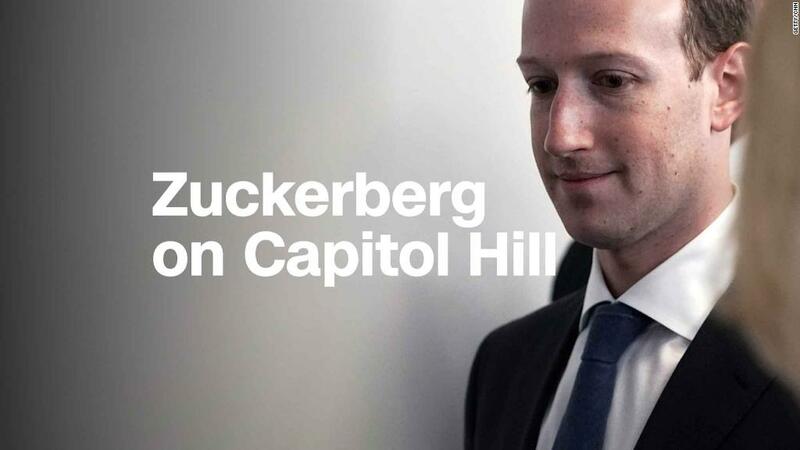 Mark Zuckerberg attended meetings on Capitol Hill on Monday. He'll testify at a joint Senate hearing on Tuesday, and in front of a House committee on Wednesday. But the biggest scandal has been over Cambridge Analytica, a data firm with ties to President Donald Trump's campaign. Since then, the company's reputation and stock have taken a beating, as advocates and lawmakers call for greater oversight to protect user privacy. What's the latest on Facebook's Cambridge Analytica scandal? On Monday, the company began rolling out a "see how you're affected" tool at the top of people's News Feeds. It will let users know if they're among the tens of millions who had their data improperly accessed by Cambridge Analytica. Last month, Zuckberg sat down with CNN's Laurie Segall to apologize for the Cambridge Analytica scandal. "This was a major breach of trust, and I'm really sorry that this happened," he said. Why is Zuckerberg's testimony a big deal? It's also an opportunity for Zuckerberg to address his company's current crisis of trust, which has shown no signs of abating in recent weeks. Some have even called for Zuckerberg to step down. The 33-year-old's performance in front of Congress could have ramifications for his job security. Where can I watch Zuckerberg's testimony? You can watch the Senate hearing on Tuesday live on C-SPAN. You will also find links to a live stream on CNN and CNNMoney. The committee also plans to broadcast the event. The House hearing on Wednesday will also air on C-SPAN. Or, you can livestream it.